Is beauty is only skin deep? You try to eat organic, pastured, local foods. You keep a clean home. You drink plenty of water and avoid soft drinks. You think you’re treating your body well, right? 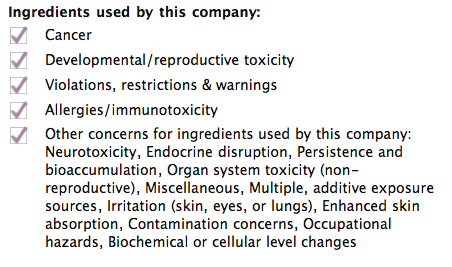 But did you know that whatever you put on your skin, you are ingesting? 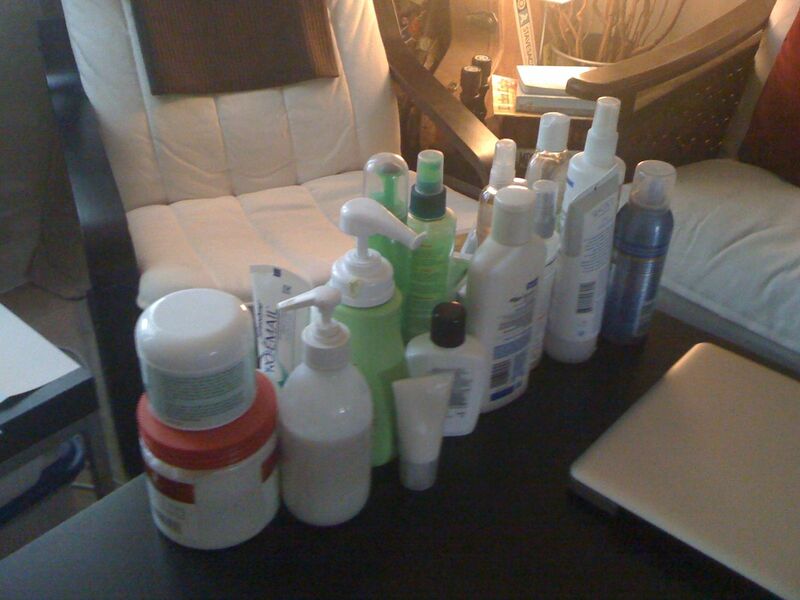 Last night I pulled out a ton of lotions and shampoos and other random cosmetics from my counter and found this website – Cosmetics Database. I went through each bottle of stuff, and if I couldn’t find the actual product, I looked up the individual ingredients. If any of the top five ingredients were 4 or higher on the danger scale, that product got sacked. Out of 40 items, only 3 were safe. 3. A cuticle oil, a facial spray, and my Witch Hazel. Even my mineral powder foundation is dangerous! The mascara was borderline. So it’s all gettin’ tossed. Here’s an example. I had a bottle of Ocean Potion 100% Aloe Vera in my cabinet. 100% Aloe Vera! That’s good right? Wrong. I turned the bottle over and checked out the ingredients. Ew! Why on earth does 100% Aloe Vera gel need Yellow No. 5?! Here’s the product listing on Cosmetics Database. It’s a moderate hazard at 6/10! But think about it! I’m putting that on my skin when its in need of healing!! When my skin needs healing, I shouldn’t be slathering hazardous chemicals all over it! It’s over, cosmetics industry. You and I are through. Except for my mineral powder foundation. I use a nut oil base to protect my skin from the powder. So I’ll use that foundation up. But once it’s gone, I’m gonna find a less hazardous version. Same with the rest of my makeup. Previous Post Good advice for both screenwriters and producers! I just thought about it. Perhaps 3 is an unfair number. I’d already checked my jojoba oil, my Vitamin E oil, and my Castile soap. And I knew my kukui nut oil was safe (except for the fragrance).